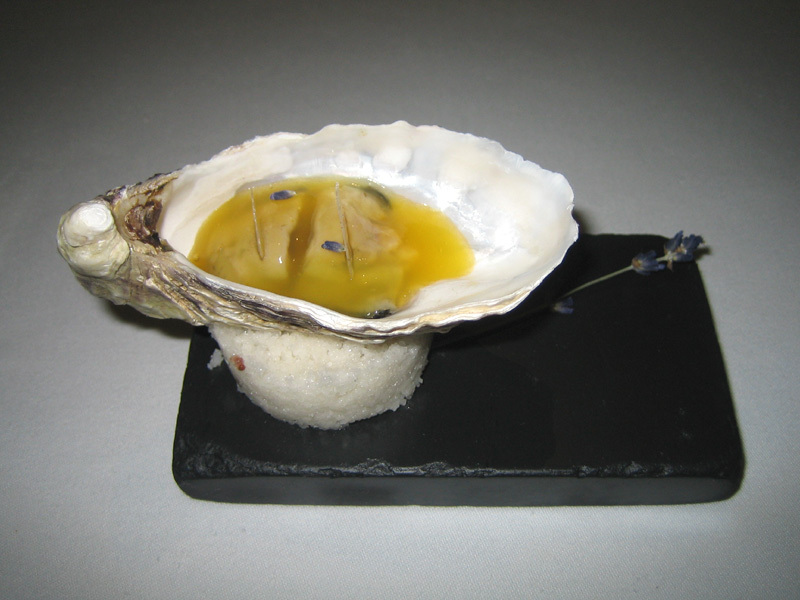 The Fat Duck, like El Bulli, is a divisive restaurant in serious dining circles. Some say the cuisine focuses on parlor tricks at the expense of taste. Others say it is one of the five most important restaurants in the world because of its willingness to experiment w/ traditional notions of food. 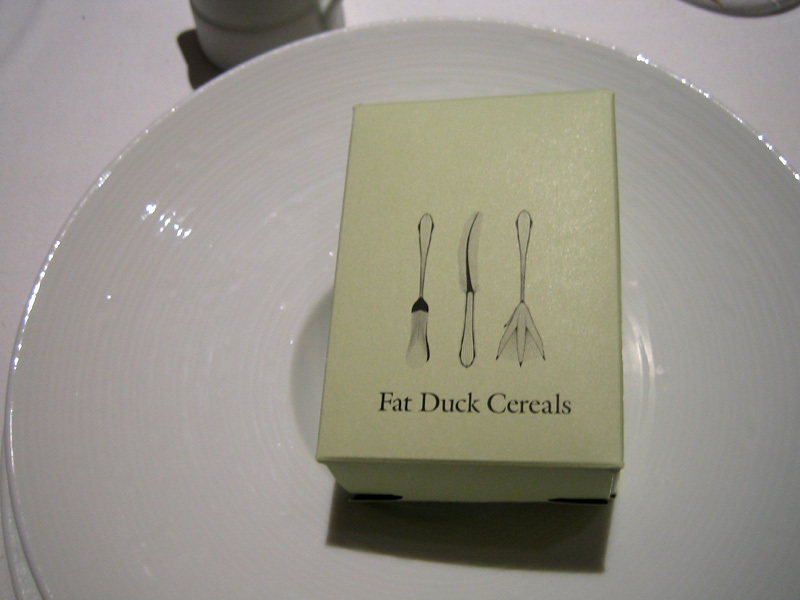 Of all the Michelin 3* restaurants I visited last month (and I made it to many of the important ones), Fat Duck was one of the few that *acted* like a 3*. 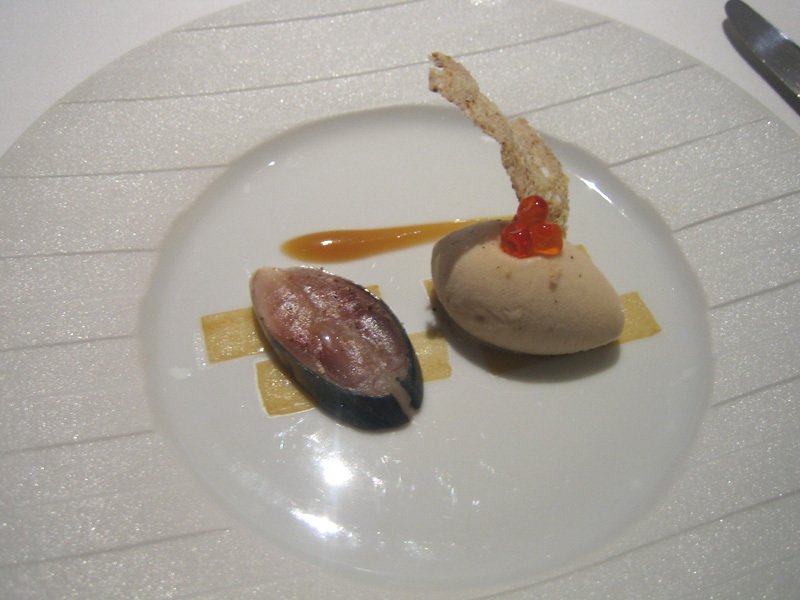 Despite other restaurant/hotels like Bras & Troisgros, no other restaurant had the production values from top to bottom. The introductory letter asking for childhood food memories sets the stage; the service is effortless & playful; the food does its part; and then they send you home w/ the sealed menu, printed on a very heavy (and costly) stock paper, sealed in wax. The whole thing feels so “honest”; you can sense the chef’s enthusiasm for food *and* experience; instead of his cash register. The food was in my excellent “second tier” of the trip – L’Astrance, L’Arpege, Can Roca, El Bulli, & Mugaritz – very fine company indeed. 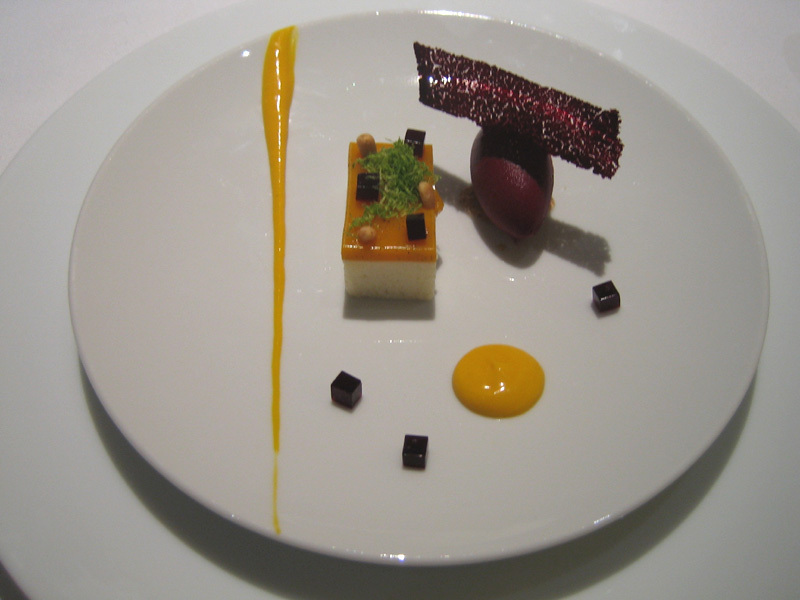 (The 1st tier was comprised of just 3 – Gagnaire, Regis Marcon, & Michel Bras.) It was a very solid meal w/ just one or two disappointments – completely acceptable considering the quality of the remaining dishes. It does get better as I reflect back on it. After eating here, I read through other online reviews; I realized many people had the same dishes I did. I guess the menu doesn’t change that often because it is a destination restaurant. Perhaps there’s a secret code for repeat visitors where you get to try the new creations. 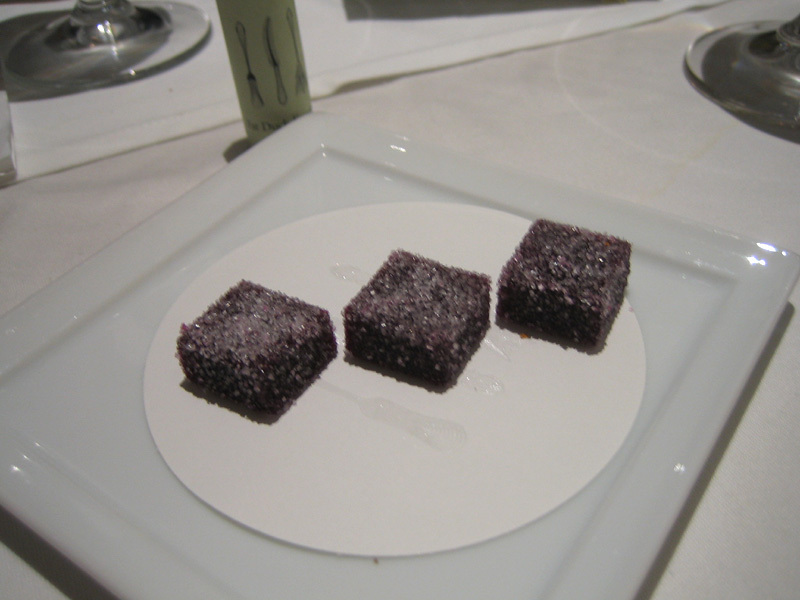 Of course, everyone complains El Bulli is a science experiment; here, you just seem to get the hits. I wouldn’t mind a hybrid approach. My notes for the meal were terrible; I even have some extra photos that I can’t make any sense of. It’s so cold your mouth will smoke if left slightly opened, I got a slight iron taste. A much more effective palette cleanser than Jacques Decoret’s electrifying flower – a definite wow moment. Excellent. Initial burn of horseradish, followed by the passion fruit sweetness, quickly followed by the oyster sea ‘sweetness’, and then some more burn. Very Good. 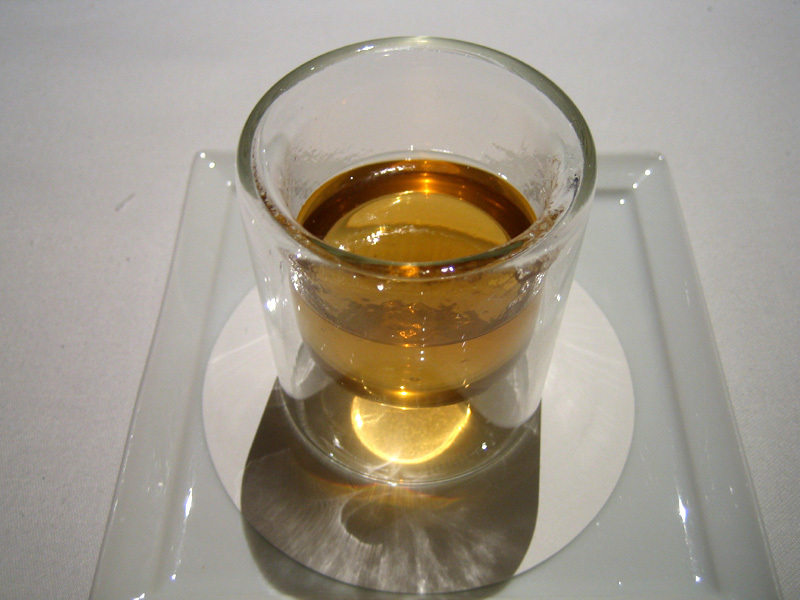 A study in temperature differences – hot/cold temperatures and hot/cold tastes. Very Good. 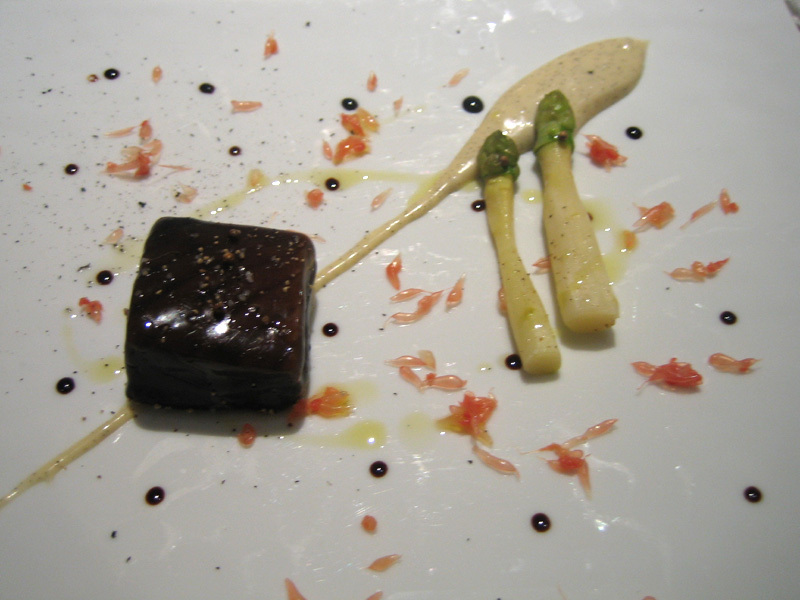 The foie was very rich & decadent and it had a very long lasting note that was joined by the saltiness of the langoustine cream at the end. Excellent. 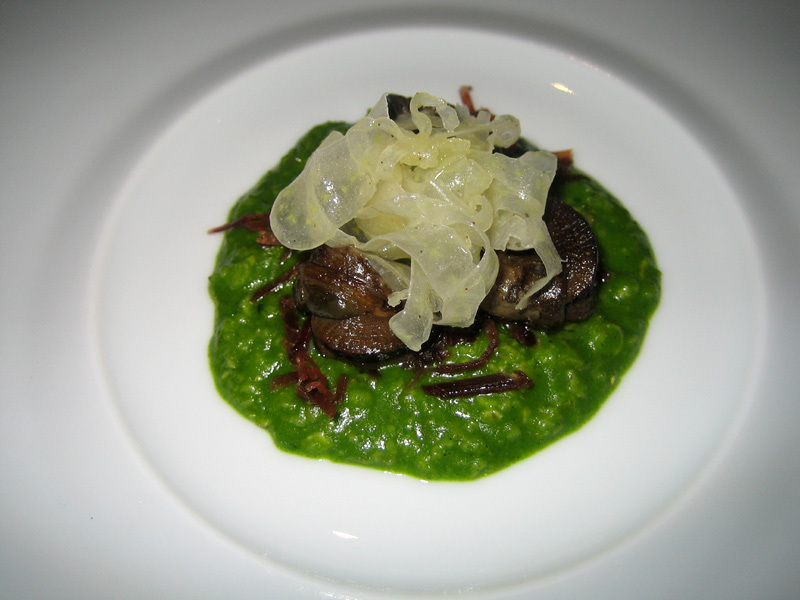 High quality snails, a very “satisfying” and delicious dish; snail risotto. 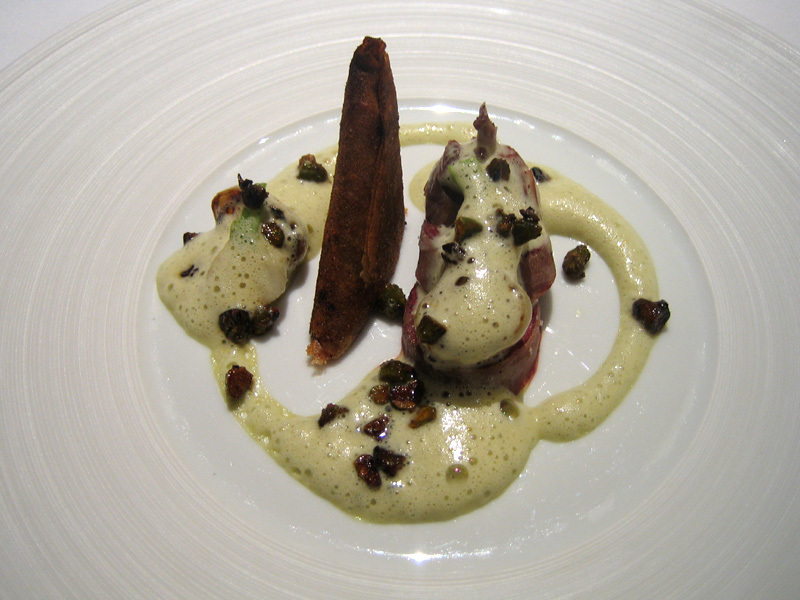 There is a reason this is probably his most recognizable dish. Excellent. 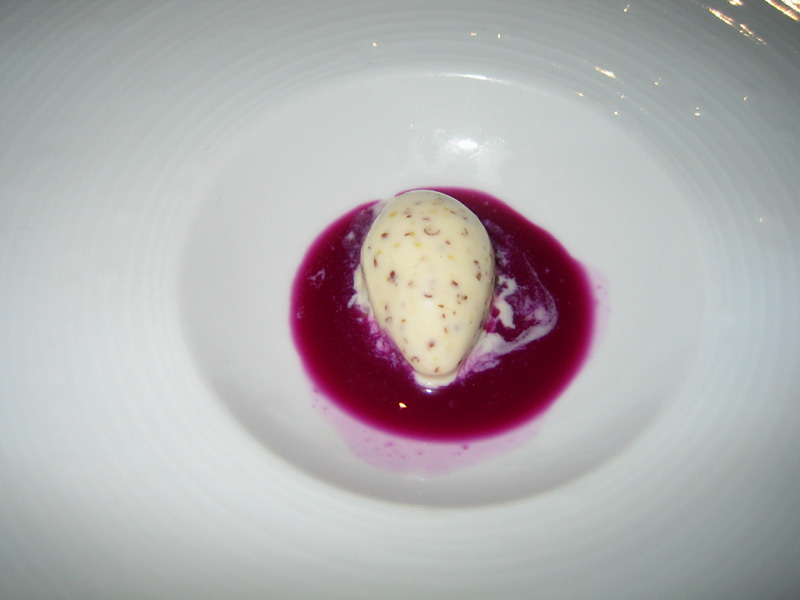 The texture was too spongy, similar to Mugaritz a few days earlier, but this was full of taste. Very Good. A decent piece of fish but the sorbet was far too cold (and icy); also, very salty. It turns out the sorbet was pre-made and thus it collected those tiny ice crystals that probably shouldn’t be part of a meal of this caliber. Average. 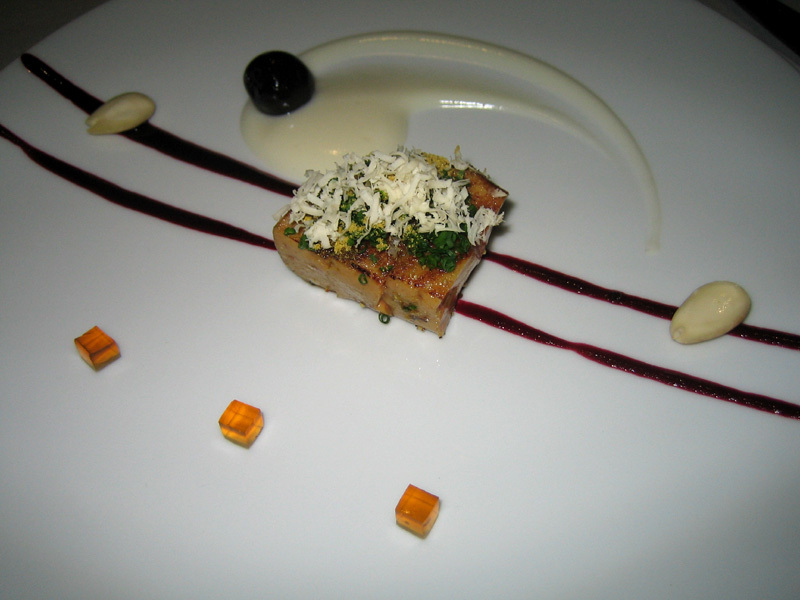 The fish was cooked absolutely perfectly – the licorice marred that perfect piece of fish for me – too cloying. I really don’t understand the combination here. Fish – Excellent. Dish – Good. Good quality, spiced nicely, a touch greasy. Very Good. 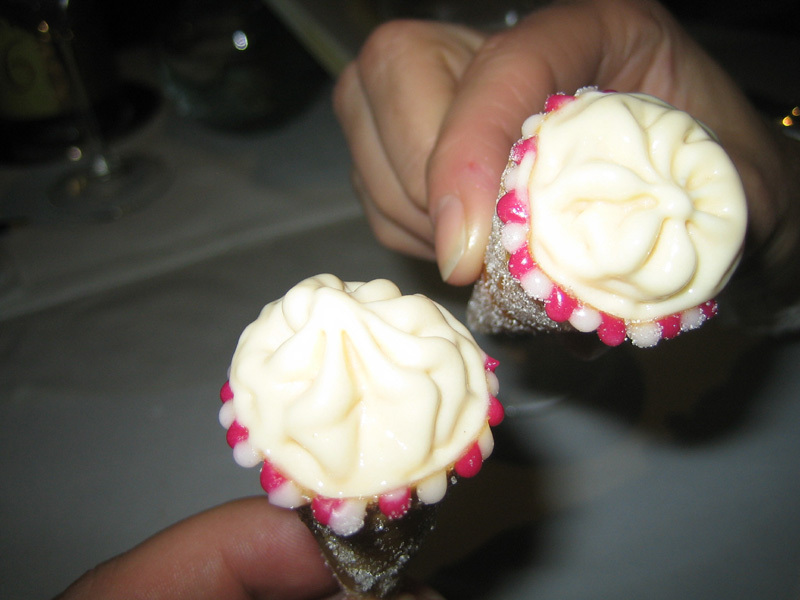 Savory cone w/ a touch of sugar with some sort of “sensation” that i can no longer discern from my notes. A haute version of one my favorite childhood candies – Dipsticks. Rather than dumping all the powder into my mouth as I would’ve done in my youth, I used the vanilla bean “stick” to pick up the powder. Aciditic to the extreme but tempered by the vanilla “calm.” Awesome. A faithful replication of breakfast. 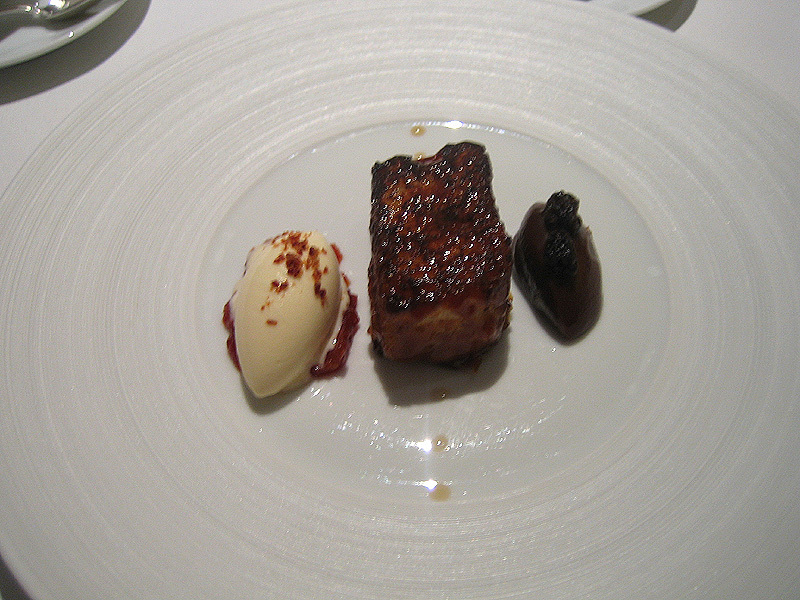 The ice cream was intense, the french toast intensely caramelized w/ a nice custardy inside (but, make no mistake, this was not the greatness of Mugaritz’s french toast); with the tea jelly being an interesting contrast of temperatures – you experienced both hot and cold at the same time. Overall, an excellent meal that helped conclude my trip. Looking back on my review, I rated nearly every dish highly but I said earlier it was in my 2nd tier (not a bad place to be.) Nothing reached the sublime – everything was just consistently very good to excellent. 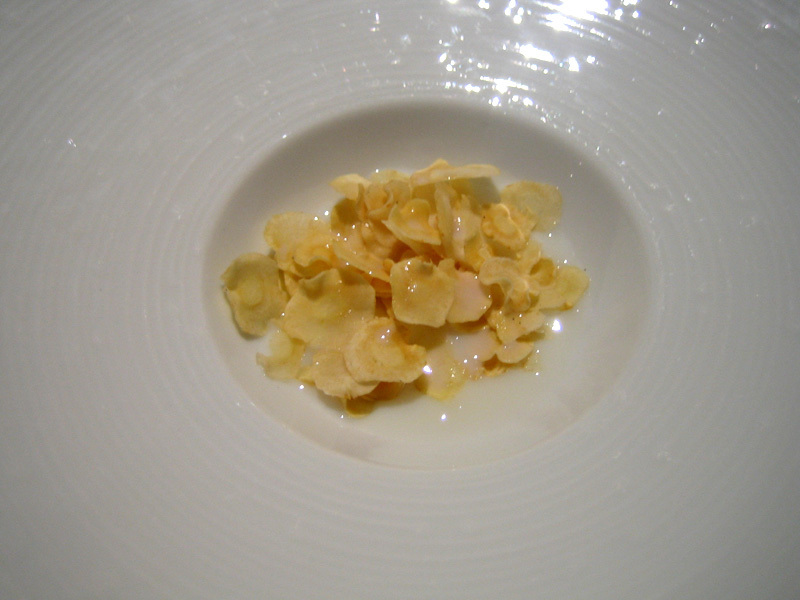 Something I didn’t expect, similar to El Bulli, was this chef could cook w/ the best of them. It’s not all parlor tricks – there’s a solid base of ingredients and technical expertise that he builds upon. 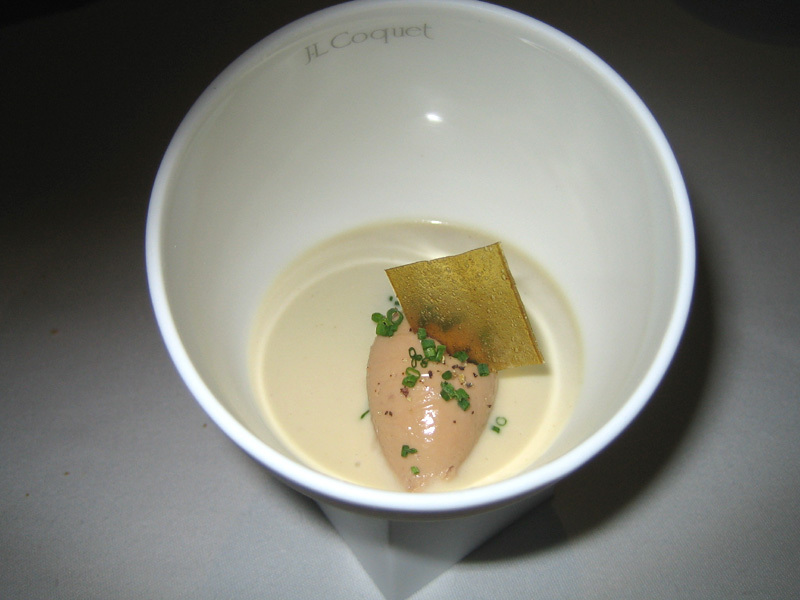 If i had to rate the three most successful “experimental” restaurants on this trip, it would be Gagnaire, Fat Duck, Mugaritz, and then El Bulli – fine company indeed. The only thing that would keep me away is an even poorer exchange rate – England is not cheap. Gastroville rated the restaurant with less enthusiasm, calling into question their ingredient quality. Their review was written in Mar 2005 and while they are far more sensitive to ingredient than I, our meal had an “organic” feel with high quality ingredients.